For a beauty all your own. Get ready for the NEW Dr. Hauschcka Make-up Collection, featuring dozens of new products and colors alongside favorites from our classic range that will inspire women the world over to express their individual beauty. All products feature a new packaging design and deluxe outer boxes that honor the premium-quality formulations inside.The colors of the new Dr. Hauschka Make-up range are designed to showcase your individual beauty, complementing your natural skin tone, the shimmer of your iris and the redness of your lips. All formulations contain carefully balanced compositions of nurturing plant extracts, waxes and oils, and mineral pigments. 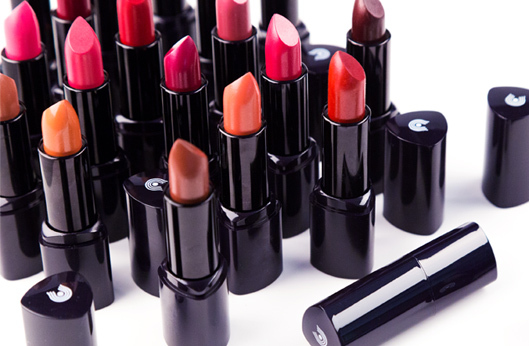 For Your Lips: Dr. Hauschka lip colors combine with your lips’ natural redness to create unique nuances. Precious natural ingredients like jojoba and almond oils, rose petals and rose hip nurture, balance and protect your lips, just like our beloved Lip Care Stick and Lip Balm. For Your Eyes: Mineral pigments provide brilliant color as botanicals including eyebright, black tea, anthyllis and shea butter soothe and nurture. For Your Complexion: Premium ingredients like pomegranate extract and macadamia nut oil protect and care for the skin while providing a light texture and exceptionally even application. A Beauty All Your Own. Make-up your skin will love.